Spend $40 in the Baby Aisle and get $10 back! 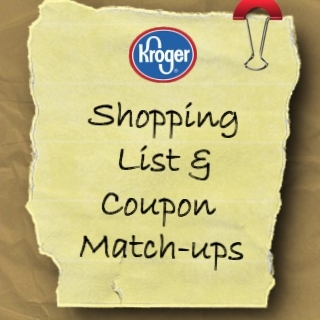 Check Kroger Krazy’s awesome round-up of pictures of all that is included! There are tons of coupons you can stack with this to make a phenomenal deal. Again, check Kroger Krazy for a full run-down of deal ideas. Catalina deal on these; Buy 2, get $2 or buy 3, get $3 OYNO. Buy two and you’ll pay just $3.25 each! Catalina deal on these; Buy 2, get $2 OYNO. That means two free! My store had $1/1 blinkie coupons last time I was in there too! We also have a Mega Sale on Kroger’s own Private Selection brand. All included items get $1 off when you buy 5 participating items. Last time, this meant super-cheap yogurt, spices, and lots of other goodies. I’ll keep you guys posted as to what I find!